One of the most difficult aspects of developing a smartwatch is the issue of obsolescence. At this early stage, the devices we’re falling in love with now are going to look downright primitive in just a year or two. Pebble has done well to protect its users’ investment in the original Pebble with ongoing software updates. However, the Pebble Time promised to take that to a whole new level with the introduction of third-party “Smartstraps” that will expand functionality by adding more sensors. Today, Pebble announced plans to pledge a million dollars to encourage the development of these high-tech bands. The company says interest from developers and established brands has been strong but it wants to help by personally backing the best smart strap ideas. Pebble says it will monitor Kickstarter and other crowdfunding platforms for smartstrap projects and back its favourite ones. You can grab the company’s attention via Twitter or by reaching out to its developer support team personally at devsupport@getpebble.com. 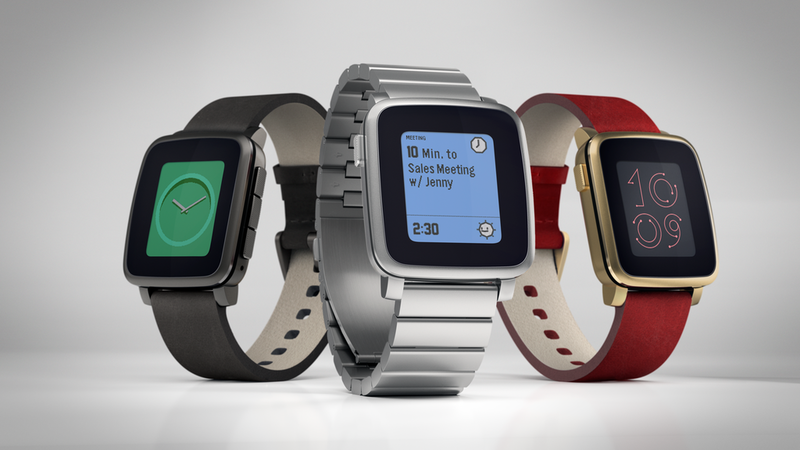 Pebble launched the Pebble Time Kickstarter just over three weeks ago and has raised in excess of $19 million. The campaign still has eight days to go before it concludes and is already the most funded Kickstarter project ever.